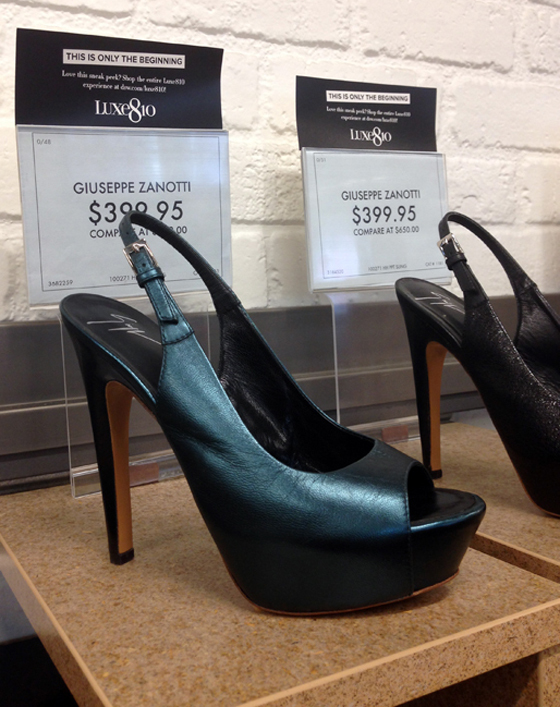 Because we bumped the Shoe of the Week last week for the H&M Herald Center news, we're doing two DSW styles this week. Clearly, they live on opposite ends of the shoe spectrum. These Zanottis: no bells and whistles but perfection all the same. 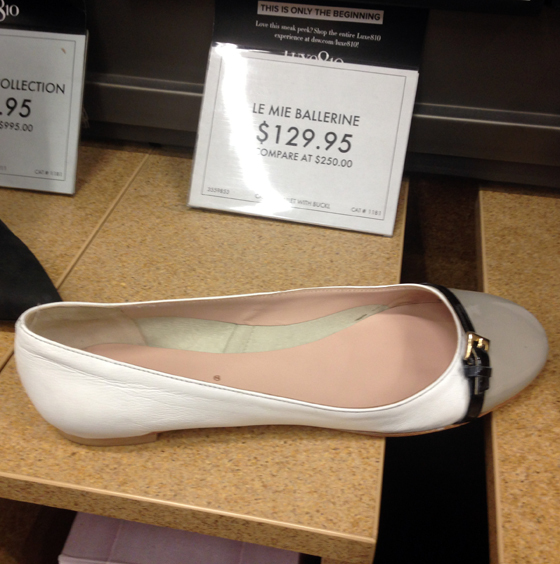 I've always wanted a white ballet flat to wear with blue denim. Although they are opposites, these two could get you through many days of New York Fashion Week. Those Le Mie Ballerines will fit nicely in your bag, and your Zanottis will strut you nicely across Lincoln Center Plaza. Yes, you need both, what girl doesn't? !